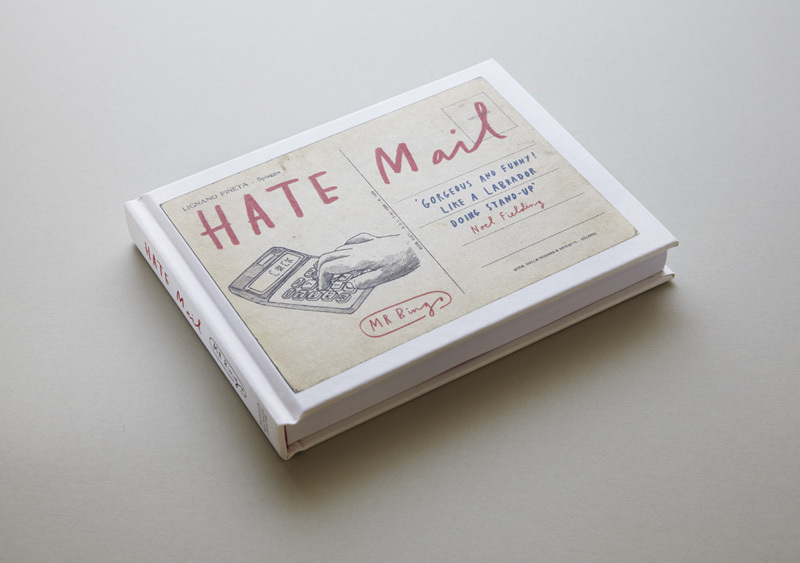 Want some hate mail? 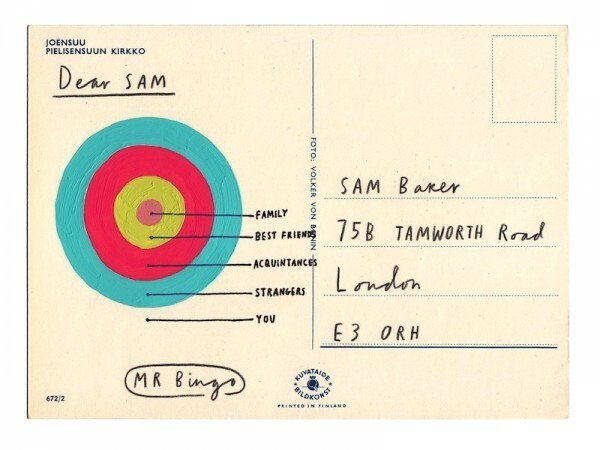 Mr. Bingo will gladly send you some. 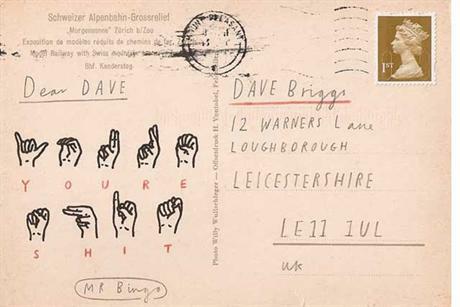 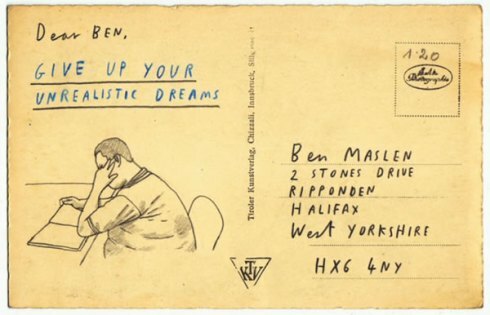 He draws random hate messages on vintage postcards and sends them to people for a small fee. 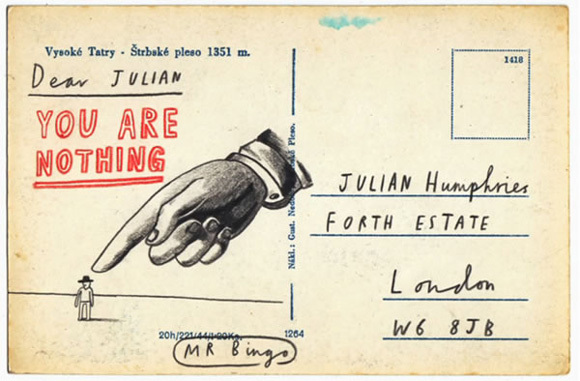 There’s even a book with all the postcards compiled. 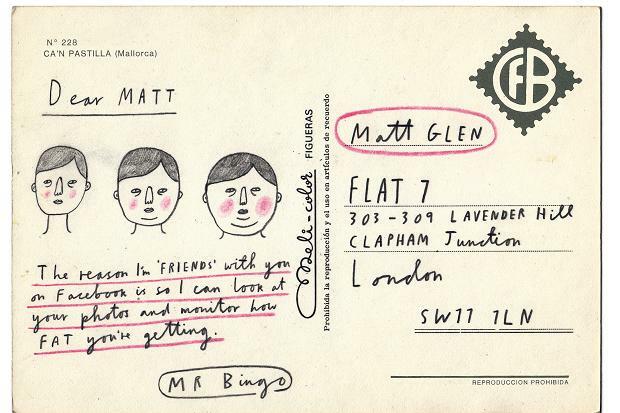 Something different innit?